"In a culture like ours, long accustomed to splitting and dividing all things as a means of control, it is sometimes a bit of a shock to be reminded that, in operational and practical fact, the medium is the message. This is merely to say that the personal and social consequences of any medium - that is, of any extension of ourselves - result from the new scale that is introduced into our affairs by each extension of ourselves, or by any new technology." These are the words of Marshall McLuhan that have earned him unprecedented success and immortality in the world of media and communications. His work, which chronicles the idea of “the medium is the message”, has proven to be a pillar in media theory. His words are powerful as they are daring and have given meaning to society and the media that are embedded within it. Marshall McLuhan always intrigued me. His ideas constantly reminded me of the world we live in where technology is increasingly booming as the days go by. Even with McLuhan's passing in 1980, I feel as if he was predicting today's society with his essay. His work still relates impeccably to the world almost 3 decades after his death. 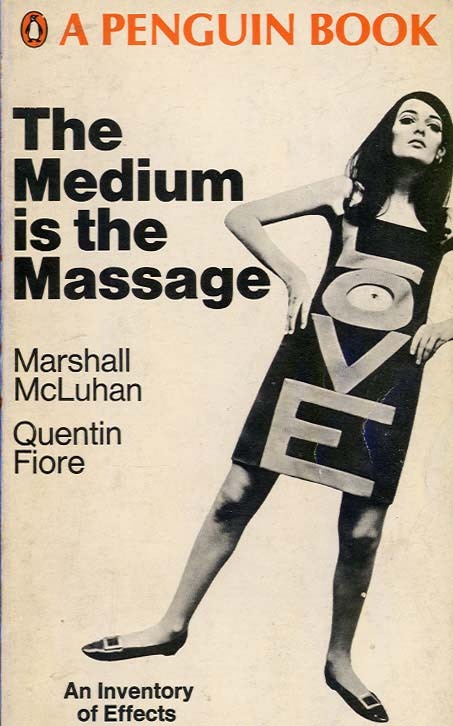 Despite years passed wherein McLuhan's words provided basis to many ideals, I believe, more than ever, that his words are at work in today's day and age. The idea of "the medium is the message" must not be taken too literally. It deserves introspection and understanding in order to gain its full essence. To look at a medium as a tool such as radio or television and a message as some form of data would render McLuhan's theory useless. What McLuhan meant by the message is a change that is introduced by a certain innovation to human society and not the raw data or information that is contained within the message. McLuhan argues that a certain medium has the power to affect this very change and this "change" is the message that is intended to be imparted. As abundant as there are ideas in this world, just as abundant are the different possibilities of change that may incur due to these very ideas and innovations. As I grow into understanding of this very phenomenon, I am then able to apply it to the world today. The iPod is a global giant. It is the standard in mp3 players and is at the forefront of the market. All other rival companies strive to just get a fragment of the share that the iPod has hold over. It's funny that the iPod wasn't even the first mp3 player to be released and when it did release, it wasn't even available to the general public. In the beginning, only Apple computer users had access to this nifty gadget. Obviously, today is a different story. You can find an iPod on the ears of our world leaders and A-list celebrities all the way down to the dude selling comic books at the corner store. It is everywhere and everything and it has forever changed the face of music and society as we know it. With the iPod being the "medium", we are able to see how McLuhan's ideas are able to explicate its cultural significance. The message of the iPod can't be seen as the music or videos that are loaded into it, this is not it. Rather, the message of the iPod is in the change that it brought to society and their affairs. First, let us take a look at what got the iPod famous. Not many people know this but the iPod became popular by accident. It wasn't the player itself or the Apple logo it carried but simply the earbuds. It was the white earbuds that began the cultural revolution. For many years, people paid little to no attention to the color of their headphones or earbuds. It was not of any importance. That's why, when people were all of a sudden walking around with white strings hanging from their ears, the public got curious. What was this thing? Why are all these cool people using these white earbuds? I want to be cool and look cool. Hence, I need the white earbuds! It wasn't even a question anymore of what the person with the earbuds was listening to. It was all about the color and the way these earbuds looked on a person. It was hip and it was trendy. All of a sudden, music became second nature to the luxury and fashion that these earbuds brought with it. The question wasn't "what are you listening to?" or "why are you listening to that?" anymore but rather "how are you listening to that?". It inspired a change in people and the outlook they had on music and the extensions that came with it. The medium, after all, is an extension of ourselves. The iPod reflects individuality in its purest form. You can almost tell the personality of a person based on the music they keep in their iPods. There should already be personality tests based on these very factors. Just as well, the pretty, little, white earbuds extends beyond our own physicality and forms a new embodiment that houses this very technology. The earbuds though, are just a little part of the equation. The iPod as a whole has done far greater things. What the iPod has done is change the way we do music altogether. Today, music is fast and it is at our fingertips (literally) all because of the iPod. It is light, compact and without question, very attractive to the eye. It operates on a very simple interface that users of any age will be able to learn. On top of that, filing music in and out of the contraption can be done with the slightest of ease. Now, when websites such as Napster were closed due to copyright laws, iPod saw the popularity of these very websites as an opportunity to change the music industry. The result was iTunes, an online music store that provided music of all kinds to consumers. Sure, the Philippines doesn't subscribe to the iTunes service. But just the same, the only reason most of us have Limewire or Kazaa on our computers is because we're downloading music to put into our iPods (Sorry Zune). Music has now become more personal. It is more flexible to the tastes and likings of each individual. Only like one song from an album? No problem! Just get that one song. The CD you want sold out in stores? Don't worry about it. Just download it. The iPod has changed the way we do music. Apple has successfully created a culture of expression and sharing that is unparalleled. No other generation or gadget can top the effect that the iPod has had on music. This is the message that the iPod has conveyed. It is not in the music itself but in the change it has generated in the way people handle their music and the attitudes they have generated because of this very revolution. What's scary is that the iPod isn't even done yet. It may have hit its stride but no way is it finished. The iPod is still growing at breakneck speeds and there's no telling what Apple will release in the future. Consumers are now on their toes waiting and anticipating the next move that Apple will make. Apple has us at their fingertips and the funny thing is that I don't even mind. Give me my iPod and give it now. *These insights would not have been possible without the aid of a documentary I caught on the Discovery Channel. I never forgot that documentary and I remembered each segment it presented. Luckily, YouTube has the documentary on its site for the general public to enjoy the same lesson I learned a while back. The documentary is separated into five different parts with each video below corresponding to a specific one. Kahney, Leander. 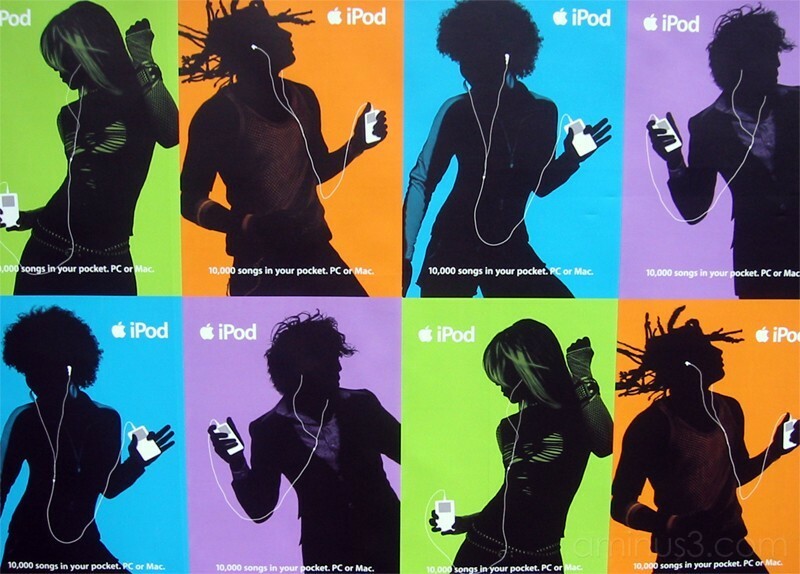 The Cult of iPod. San Francisco: No Starch Press Inc., 2005. McLuhan, Marshall. "The Medium is the Message". Media and Cultural Studies. Blackwell Publishing, 2006.